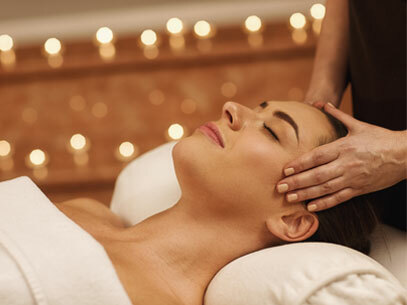 A soothing and relaxing massage to ease tension. Improves your game and targets your sports specific needs by providing maximum stretching. A Spa Sydell exclusive that increases an athlete’s flexibility and range of motion. *This is a clothed massage service. The healing art of stone massage uses warm lava stones which combines the benefit of deep pressure and heat therapy to achieve a unique relaxation experience. Deep tissue massage for the serious aficionado, addressing specific muscle tension using slow strokes and deep pressure. Relax tense muscles and increase mobility after the first trimester. The ancient Chinese healing art of Reflexology works specific pressure points in order to re-establish the flow of energy throughout the body. Trio Reflexology focuses on pressure points of the feet, hands, and earlobes.